Bethesda, Maryland; August 18, 2014 Media Release ­— The Small Press Expo the preeminent showcase for the exhibition of independent comics, graphic novels and alternative political cartoons, is pleased to announce the 2014 nominees for the annual presentation of the Ignatz Awards, a celebration of outstanding achievement in comics and cartooning. The Ignatz, named after George Herriman’s brick-wielding mouse from his long running co mic strip Krazy Kat, recognizes exceptional work that challenges popular notions of what comics can achieve, both as an art form and as a means of personal expression. The Ignatz Awards are a festival prize, the first of such in the United States comic book industry. Only those present at the Small Press Expo may cast a vote to decide the winners. The nominees for this year’s ballot were determined by a panel of five of the best of today’s comic artists, Darryl Ayo, Austin English, Melissa Mendes,Thien Pham and Whit Taylor, with the votes cast for the awards by the attendees during SPX. 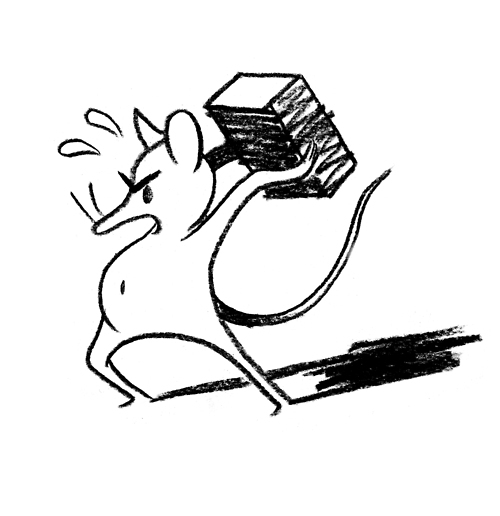 The Ignatz Awards will be presented at the gala Ignatz Awards ceremony held on Saturday, September 13, 2014 at 9:30 PM, to be followed by libations, chocolate fountains, our first SPX Prom and a few as yet unannounced surprises. Last year’s winner of the Ignatz Award for Promising New Talent – and also a 2014 nominee – Sam Alden created this year’s rendition of Ignatz the mouse featured at the top of this post.